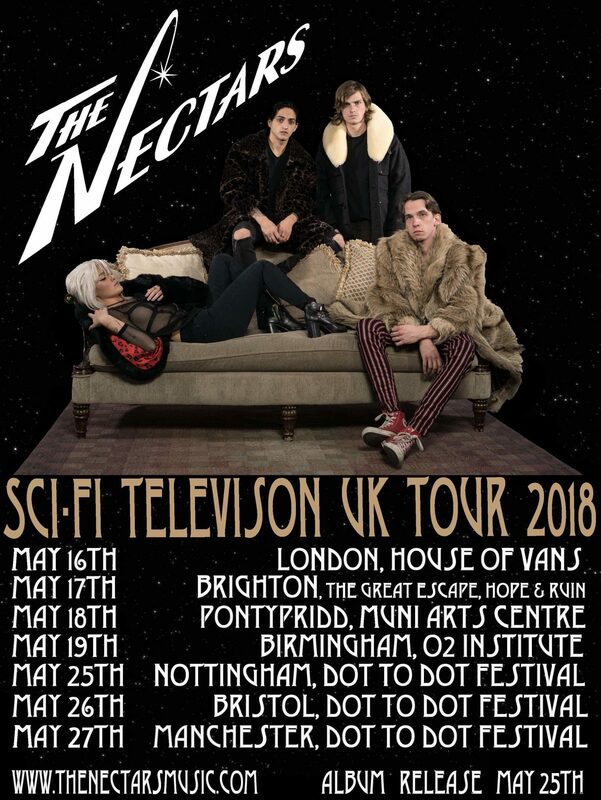 We are excited to announce our favourite New Jersey band, The Nectars are coming to the UK, and what’s more they have a debut album ready to drop. ﻿ Conceived in the shadow of New York City in the dying embers of 2016, some 20 miles west of its lavish neon clutches, The Nectars rapidly climbed out of the tangled New Jersey suburbs to thrust themselves into the local alternative rock consciousness. 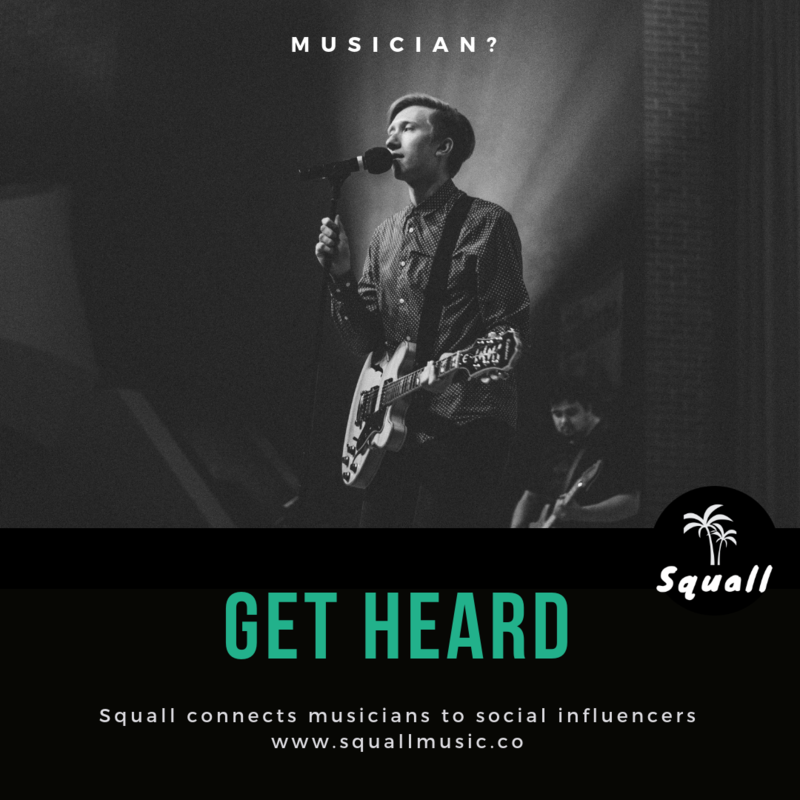 Their punk-inflamed guitars, inventive harmonies, trashy beats, funkadelia and raw vocals lay a foundation that’s got NYC hipsters buzzing around their scorching live performance. Harking back to the New York punk / pop scene of the late 70’s but filtered through themodern sensibility of tech-savvy millennial creatives, their first two singles – ‘Heaven’ and ‘I Want It’ – have been released to much acclaim in the USA, UK and mainland Europe. Their debut album Sci-Fi Television is a ferocious, euphoric, sarcastic, brilliant slice of sleazy pop genius. 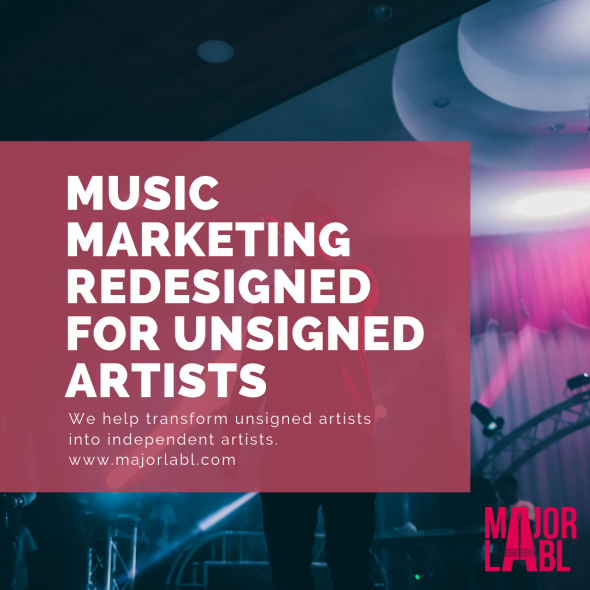 Recorded at Barbershop studios in New Jersey and Studio G in Brooklyn, it’s a nine-song collection of short, sharp bangers, each with their own individual sound delving into art-rock debauchery. The work of lead singer Jessica Kenny, Mike Montalbano (drums/vocals), Jon Paul (bass) and Michael Baron (guitar), the band describes the album as their search for inner peace and an attempt to escape from some of the evils that have taken centre-stage in the world. Opener ‘Holy’ races off on a 1 minute, 17 second frenzy, inspired by the band’s personal frustrations with the discovery of lead found in the water of the city and the local governments “deal with it” attitude. The space-age video for ‘I Want It’ showcases the band’s off-kilter personality, with debut single ‘Heaven’ demonstrating their gloriously technicolour performance. Upcoming single ‘We Will Run’, is an anthem for all the dreamers, with its calmer, indie-pop style, topped with Jessica’s beautiful and distinctive vocals, while the track ‘Don’t Panic’ kicks in with a pounding bass drum and running guitar lick before Jessica lays waste withthe lines; “Ladies and gentlemen, may I have your attention please / first of all, don’t panic, but the building is on fire / The firemen aren’t coming, they’re all saving their own families / and the worst part is that we stopped paying them so long ago”. 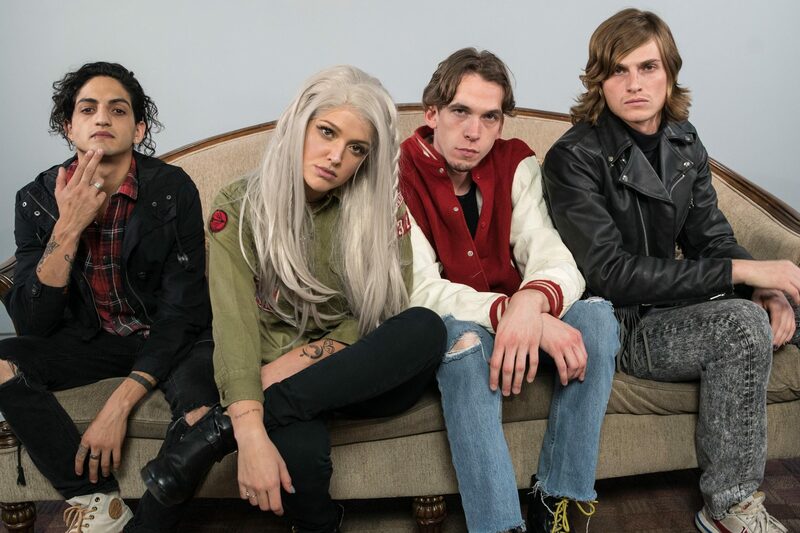 The Nectars draw influences from a ragged mix of The Ramones, Patti Smith, The Pixies and Blondie while earning comparisons to peak 90’s era No Doubt and Paramore. This quirky debut is fun, abrasive and a straight to the point indie-punk pleasure. It’s a perfect introduction to this fiery four-piece, who continue their assault on the US, UK and beyond. The Nectars will be heading over to the UK this May having already whipped up a storm in New York, to perform a number of shows including a headline date at London’s House Of Vans on May 16th before playing at The Great Escape festival the following day, as well as sold out shows in Pontypridd and Birmingham plus slots at this year’s Dot To Dot festival.